Trilobites, fish with legs, weird prehistoric sharks, and fearsome dinosaurs coexist peaceably in the coolest paleontology book to come along this millennium. Long ago, a fish made its way out of the ocean and onto dry land. It was one small step for a fish, but one giant leap for fishkindand it led to all sorts of interesting creatures like, well, people. 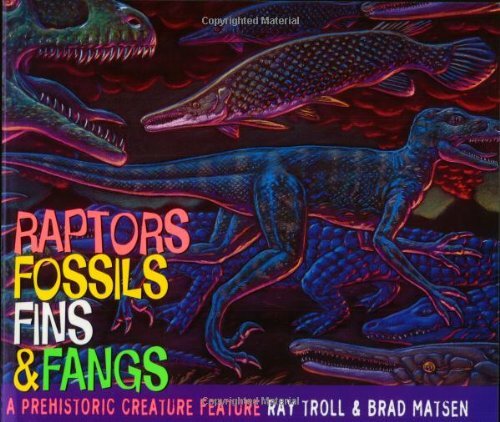 Yes, RAPTORS, FOSSILS, FINS & FANGS dares to say the "e" word to children: that's evolution. That's life. After all, it's the lucky fish who gets the cheeseburger.